The White House said President Barack Obama misspoke on Tuesday when he referred to a "Polish death camp" while honoring a Polish war hero. Sikorski tweeted that the White House would apologize for "this outrageous error" and that Polish Prime Minister Donald Tusk would address the matter on Wednesday. "It's a pity that such a dignified ceremony was overshadowed by ignorance and incompetence." Alex Storozynski, president of the Kosciuszko Foundation, said Obama's comment "shocked the Poles present at the White House and those watching on C-SPAN. ... Karski would have cringed if he heard this." National Security Council spokesman Tommy Vietor said: "The president misspoke. He was referring to Nazi death camps in Poland. We regret this misstatement, which should not detract from the clear intention to honor Mr. Karski and those brave citizens who stood on the side of human dignity in the face of tyranny." Anxious to quell the controversy, the White House also noted that the president had visited the Warsaw Ghetto Memorial while in Poland and that he has repeatedly discussed the bravery of Poles during World War II. The Polish Embassy in Washington, on its website, has a "how-to guide" on concentration camps that states that references to Polish death camps are "factually incorrect slurs" that should be corrected. On Wednesday afternoon in Baghdad, a few thousand kilometers away from the Prime Minister’s Jerusalem Residence, the world powers known as the P5+1 – the US, China, Russia, France, Britain and Germany – sat down for much anticipated talks with the Iranians about their nuclear program. At the same time, just a few hundred meters away from the Prime Minister’s Residence, 100 or so people loudly demonstrated for the rights of Ethiopian immigrants and against discrimination. And all the while, for two hours on a mild afternoon, Prime Minister Binyamin Netanyahu – with a small black kippa on his head – sat in the covered courtyard of his home with 16 rabbis, academics, Bible scholars, archeologists and linguists, and discussed the meaning of the Book of Ruth, which will be read on Shavuot on Sunday in synagogues around the world. His wife, Sara, sat next to him, and his two sons sat on a bank of chairs set to the side. There was something at once heartening and slightly humorous about Netanyahu setting aside precious time in the late afternoon to talk about Biblical figures Tamar and Yehuda, Naomi and Boaz, Ruth and David, while Iran loomed so large, and domestic issues beckoned so seriously. It was heartening in that it is uniquely elevating seeing the prime minister of the Jewish state taking time out to study the Bible, the heart of Jewish existence. One cannot talk about Jewish historic rights to this place, which the prime minister does constantly, without appreciating and understanding the Bible. And the scene was slightly humorous in that there is no other way to describe watching Avshalom Kor, the legendary radio linguist with the bass voice and perfect Hebrew pronunciation, read chapters from the Book of Ruth, while in the background chants from the Ethiopian protesters grew louder and louder and threatened to drown him out. Netanyahu – try as he may to set aside some time for Bible study to block out the everyday – could not totally succeed. The outside world seeped in, even as he tried hard to ignore it. Still, the attempt was praiseworthy because it put into wider perspective the matters on the agenda that seem so overwhelmingly critical at the moment – Iran and domestic problems the Ethiopian protesters raised. 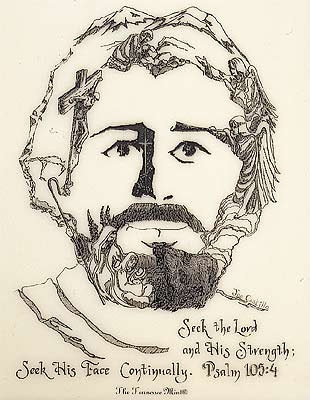 Or, as Rabbi Yehuda Ben-Yishai, whose daughter Ruth was killed with her husband and three children in a terrorist attack in Itamar last year, put it at the meeting, the Bible is a chronicle of how – despite it all – “we came out of it all right.” He said the Bible was a chronicle of finding the “light” in very complicated and complex situations. Kor wanted to read only a few verses from the Book of Ruth, but the prime minister urged him on to read more. This is better then the usual matters he has to deal with, Netanyahu quipped as the session – originally scheduled for an hour – went 60 minutes longer than planned. The PMO, along with the Menachem Begin Heritage Center, organized the event, a reincarnation of a tradition David Ben-Gurion began, when as prime minister he hosted a regular Bible study circle, and also Menachem Begin adopted when he was prime minister. It is dedicated to Sara Netanyahu’s father, Shmuel Ben-Artzi, a noted Bible teacher and enthusiast who passed away in November. A tale is told that one Saturday evening Begin was studying the weekly Torah portion with his group, when a call came in from the White House. US president Jimmy Carter was on the line. Begin is said to have replied that he was in the middle of studying verses from Deuteronomy, and that Carter should call back in a couple of hours. Apocryphal or not, the story sends a message that certain things are important, like calls from the US president, and other things are even more so. That seemed the message Netanyahu was trying to send as well. Wednesday’s meeting, the first of a number of study sessions that are to take place throughout the year, was more symbol than substance, more message than meat. And Netanyahu made clear what the message was: “Ben-Gurion and Begin believed that the Bible should be the heritage of the entire nation – secular and religious, young and old, men and women. The Bible is the foundation of our existence. It unites the Jewish people, as it has throughout the generations. It also serves not only as a foundation but also as a map and compass,” he said. “The Bible is always relevant vis-à-vis today’s problems and challenges. It inspires, it is a source of life for our people and I think that it is important to expand Bible study and love of the Bible among all parts of the nation. This is also the goal of this circle.” Wednesday’s format was neither university lecture, nor yeshiva shiur (lesson). Micha Goodman, the dynamic head of the Ein Prat Academy for Leadership and a lecturer on Jewish thought at the Hebrew University in Jerusalem, handed out a short source sheet and then began the discussion by explaining how the Book of Ruth – the story of the Moabite convert Ruth – contradicted the Biblical injunction of never letting Moabites and Ammonites enter the ranks of the Jewish people. On the Shavuot holiday that celebrates the giving of the Torah, Goodman said, the book the sages selected to be read contradicted a tenet of the Torah. And therein lay the irony and the paradox that others sitting to the left and right of the prime minister then addressed. Granted, when a group that includes rabbis like Benny Lau and Yeshivat Har Etzion co-head Yaakov Meidan, archeologists like Adam Zertal, linguists like Hebrew Language Academy head Moshe Bar-Asher, and Judaic studies scholars like Hebrew University’s Nili Wazana, get together, the discussion is bound to be illuminating. 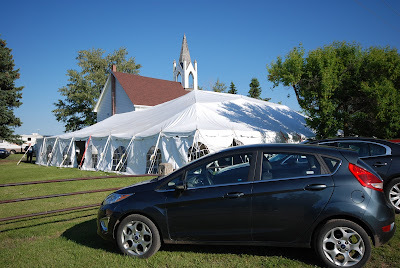 In a group like that, everyone has what to say – especially when they feel compelled to say something intelligent since they were invited by the prime minister expressly for that purpose. But the significance of the afternoon was less in the insights given – talk about how the Bible is both law and spirit, full of complexities reflecting life’s contradictions and compromises – and more in the very fact that Netanyahu decided to resurrect Ben-Gurion and Begin’s tradition. While an absorbing discussion ensued, Wednesday’s prime ministerial study circle shed more light on Netanyahu – his psyche, world view and the way he sees his role – than it did on the Book of Ruth. Shown below, is an actual letter that was sent to a bank by an 86 year old woman. The bank manager thought it amusing enough to have it published in the Times. By my calculations, three nanoseconds must have elapsed between his presenting the cheque and the arrival in my account of the funds needed to honor it..
Don't make old people mad. We don't like being old in the first place, so it doesn't take much to upset us. It must be a fairly widespread understanding that Barack Obama’s history is fairly unknown. The man that became the 44th President of the United States did so after serving less than one term at the federal government level, so its not like Americans have any sort of background on the guy. That has been changing recently, and now more and more journalists have become interested in researching this mysterious man that has captivated Americans for better or worse. David Maraniss recently finished writing a biography entitled “Barack Obama: The Story” that delves farther into Obama’s life that we have previously seen. The book is based on factual events and interviews from those who have known Obama before he was tossed into the public eye. Barry, as the President was known as in high school, was engaged in a method he created, called “Total Absorption” or “TA” for short. According to Maraniss, the society in which Barry grew up was a haven for pot-smoking; various strands of marijuana grew all over the tropical island including “Maui Wowie, Kauai Electric, Puna Bud,” along with several more variations. Boy, oh boy. How is this going to play out for Mr. Barry Obama? Thanked His Drug Dealer, Not Mom, In High-school Yearbook..
Barack Obama is not the first President of the United States to confess to experimenting with recreational drug-use in those heady days before the gruelling demands of Washington took over. However, while Bill Clinton notoriously "didn't inhale" at Oxford, Mr Obama took an altogether more enthusiastic approach to smoking marijuana in his youth, according to a new biography. As a secondary school pupil in Honolulu, Hawaii, in the late 1970s, Mr Obama is said to have been a member of the "Choom Gang", a group of boys who played basketball and choomed, or smoked dope. "Barry Obama was known for starting a few pot-smoking trends," according to David Maraniss, a Pulitzer Prize-winning author. "The first was called 'TA,' short for 'total absorption'." Mr Obama's favoured technique is described as "the antithesis" to Mr Clinton's eyebrow-raising claim to have barely participated in – and certainly not enjoyed – smoking the drug as a Rhodes scholar at University College from 1968 to 1970. Any Choom Gang members caught daring to exhale before absorption was total "were assessed a penalty" and faced being "skipped the next time the joint came around," according to 'Barack Obama: The Story'. All told, the future president is said to have been a bit of a drag. "When a joint was making the rounds, he often elbowed his way in, out of turn, shouted 'Intercepted!,' and took an extra hit," said Maraniss. He also reportedly popularised "roof hits" after smoking in cars with the windows closed: "When the pot was gone, they tilted their heads back and sucked in the last bit of smoke from the ceiling." Former members recalled to Maraniss that the gang's favoured vehicle was a "Volkswagen bus, also known as the Choomwagon", that belonged to fellow member Mark Bendix. The disclosures are unlikely to harm Mr Obama politically. In addition to a relaxation in attitudes towards soft drugs since Mr Clinton's confession 20 years ago, voters knew when they elected him in 2008 that Mr Obama had also tried cocaine while a university student in New York. Recalling personal struggles from that time in his 1995 memoir, 'Dreams From My Father', Mr Obama wrote: "Pot had helped, and booze; maybe a little blow when you could afford it". He added that he had never tried heroin. A Rasmussen poll earlier this month claimed that 56 per cent of Americans favoured legalising and regulating marijuana like alcohol and tobacco, while 36 per cent remained opposed. None the less, the future president appears to have been remarkably indiscreet about his activities. In his high school yearbook entry he thanked the "Choom Gang, and Ray for all the good times". Maraniss writes that Ray, a long-haired hippie who worked in a pizza parlour, was the group's drug-dealer. "Many years later they learned that he had been killed with a ball-peen hammer by a scorned gay lover," according to the book. How Did Stoner Obama Get Into College? I don’t normally like to write headlines with question marks in them, but there are many questions about how exactly Barack Obama — by his own admission and according to testimony of former high school friends a major pothead and user of other drugs — got into Columbia and Harvard. Because Obama has refused to release his school records as other presidents have done, it’s difficult to know for certain who pulled strings for Obama and what exactly they did. But that there were strings pulled is a certainty. According to a new biography of Obama by Pulitzer-winning journalist David Maraniss, the future president was a serious drug addict in his high school days. In fact, his exploits with his fellow druggies, called the “Choom Gang,” were so extreme that it seems a long shot at best that such a student would be able to get into schools like Columbia and Harvard. According to a recent story in World Net Daily, former postman Allen Hulton used to deliver the mail to the parents of Bill Ayers. Ayers is the Weather Underground terrorist who helped kick off Obama’s political career by holding a fundraiser in his living room, who also served on several committees with Obama and who probably ghost wrote Obama’s books, but whom Obama claims to barely know. Ayers’ parents told their mailman, Hulton, that they were helping to put a foreign student from Kenya through college. Hulton also says he once met this young student, whom he believes was Barack Obama, and when asked about his plans for the future, the man said very confidently that he was going to be president. The Ayers family apparently is prominent not only in Chicago society but in Communist circles, and we also know that Obama’s mentor during his drug-addled youth was Frank Marshall Davis, a Communist poet and drug dealer who was friends with Obama’s grandfather, according to Obama’s own books. Film maker Joel Gilbert, who is releasing a documentary this summer, believes Davis may have been Obama’s real father. Is there a connection there? Did Davis know the Ayerses and help his apprentice-perhaps-son get into university through them? Then there’s the Saudi royal family connection. How exactly the Saudis and Communists mesh isn’t clear, but it is known, thanks to a story buried in the New York Times, that Khalid al-Mansour, a close adviser to Saudi Prince Al Waleed bin-Talal and mentor to the founders of the original Black Panther party, solicited letters of recommendation to help Obama get into Harvard. The Saudi royals have been large benefactors of Harvard and other schools. Since getting into office, Obama’s administration has been notably favorable toward the New Black Panther party. Is there a connection that leads through the American Communist party, the Black Panthers and to the Saudi royal family? These are all pieces of a puzzle that still has many pieces missing. Think you know the real Barack Obama? You don't — not until you've read The Amateur. In this stunning exposé, best-selling author Edward Klein — a contributing editor to Vanity Fair, former foreign editor of Newsweek, and former editor-in-chief of The New York Times Magazine — pulls back the curtain on one of the most secretive White Houses in history. He reveals a callow, thin-skinned, arrogant president with messianic dreams of grandeur supported by a cast of true believers, all of them united by leftist politics and an amateurish understanding of executive leadership. The Amateur is a reporter's book, buttressed by nearly 200 interviews, many of them with the insiders who know Obama best. The result is the most important political book of the year. You will never look at Barack Obama the same way again. 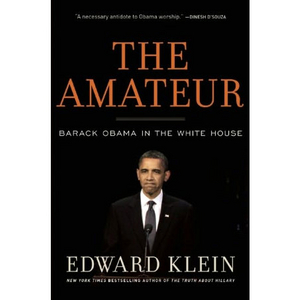 Donald Trump says: "The Amateur is the best book I've read on how Barack Obama is wrecking our country. I urge everyone who cares about America to read Edward Klein's eye-opening book." VATICAN CITY – The Vatican confirmed Saturday that the pope's butler had been arrested in its embarrassing leaks scandal, adding a Hollywood twist to a sordid tale of power struggles, intrigue and corruption in the highest levels of Catholic Church governance. Paolo Gabriele, a layman who lives inside Vatican City, was arrested Wednesday with secret documents in his possession and was being held Saturday, the Vatican spokesman the Rev. Federico Lombardi said in a statement. Gabriele is often seen by Pope Benedict XVI's side in public, riding in the front seat of his open-air jeep during Wednesday general audiences or shielding the pontiff from the rain. He has been the pope's personal butler since 2006, one of the few members of the small papal household that also includes the pontiff's private secretaries and four consecrated women who care for the papal apartment. Lombardi said Gabriele had two lawyers representing him as the Vatican judicial system takes its investigative course. The "Vatileaks" scandal has seriously embarrassed the Vatican at a time in which it is trying to show the world financial community that it has turned a page and shed its reputation as a scandal plagued tax haven. Vatican documents leaked to the press in recent months have undermined that effort, alleging corruption in Vatican finance as well as internal bickering over the Holy See's efforts to show more transparency in its financial operations. But perhaps most critically, the leaks have seemed aimed at one main goal: to discredit Pope Benedict XVI's No. 2, Cardinal Tarcisio Bertone, the Vatican secretary of state. The scandal took on even greater weight last week with the publication of "His Holiness," a book which reproduced confidential letters and memos to and from Benedict and his personal secretary. The Vatican called the book "criminal" and vowed to take legal action against the author, publisher, and whoever leaked the documents. The Vatican had already warned of legal action against the author, Italian journalist Gianluigi Nuzzi, after he broadcast letters in January from the former No. 2 Vatican administrator to the pope in which he begged not to be transferred for having exposed alleged corruption that cost the Holy See millions of euros in higher contract prices. The prelate, Monsignor Carlo Maria Vigano, is now the Vatican's U.S. ambassador. Nuzzi, author of "Vatican SpA," a 2009 volume laying out shady dealings of the Vatican bank based on leaked documents, said he was approached by sources inside the Vatican with the trove of new documents, most of them of fairly recent vintage and many of them painting Bertone in a negative light. At a press conference this week, Nuzzi defended the publication and said he wasn't afraid of Vatican retaliation. In fact, he even taunted Vatican prosecutors to seek help from Italian magistrates to investigate the case, charging that it would be a remarkable turnaround given the Vatican had been less than helpful in the past when Italian prosecutors came asking for information for their investigations. The arrest has come during one of the most tumultuous weeks for the Vatican in recent memory. On Thursday, the president of the Vatican bank, Ettore Gotti Tedeschi, was ousted by the bank's board. Sources close to the investigation said he too had been found to have leaked documents, though the official reason for his ouster was that he had failed to do his job. The Vatican has taken the leaks very seriously, with Benedict appointing a commission of cardinals to investigate. Vatican gendarmes as well as prosecutors are also investigating the sources of the leaks. Geologists say Jesus, as described in the New Testament, was most likely crucified on Friday, April 3, in the year 33. Varves, which are annual layers of deposition in the sediments, reveal that at least two major earthquakes affected the core: a widespread earthquake in 31 B.C. and a seismic event that happened sometime between the years 26 and 36. "The day and date of the crucifixion (Good Friday) are known with a fair degree of precision," he said. But the year has been in question. All four gospels and Tacitus in Annals (XV, 44) agree that the crucifixion occurred when Pontius Pilate was procurator of Judea from A.D. 26 to 36. The synoptic gospels (Matthew, Mark, and Luke) indicate that Jesus died before nightfall on the 14th day of Nisan, right before the start of the Passover meal. When data about the Jewish calendar and astronomical calculations are factored in, a handful of possible dates result, with Friday, April 3, 33, being the best match, according to the researchers. Williams is studying yet another possible natural happening associated with the crucifixion — darkness. Three of the four canonical gospels report darkness from noon to 3 p.m. after the crucifixion. Such darkness could have been caused by a duststorm, he believes. Williams is investigating if there are dust storm deposits in the sediments coincident with the earthquake that took place in the Jerusalem region during the early first century.